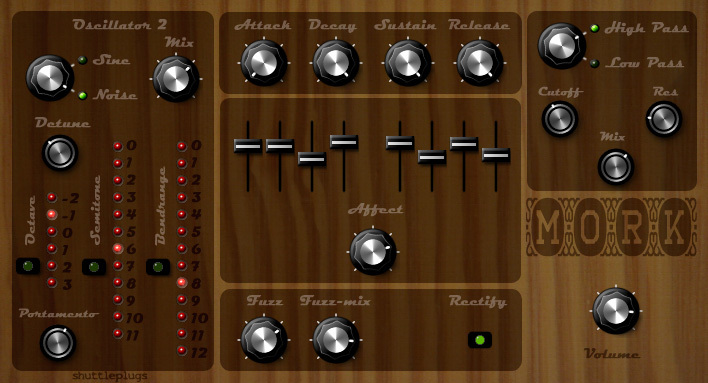 Designed for deep, low PAD’s or spacy melodies, it can also produce convincing storm-sounds. 8 sliders control the delays. There’s 4 delays on the left channel & 4 on the right(delay-times & repeats are fixed, the sliders control the mix of each delay).